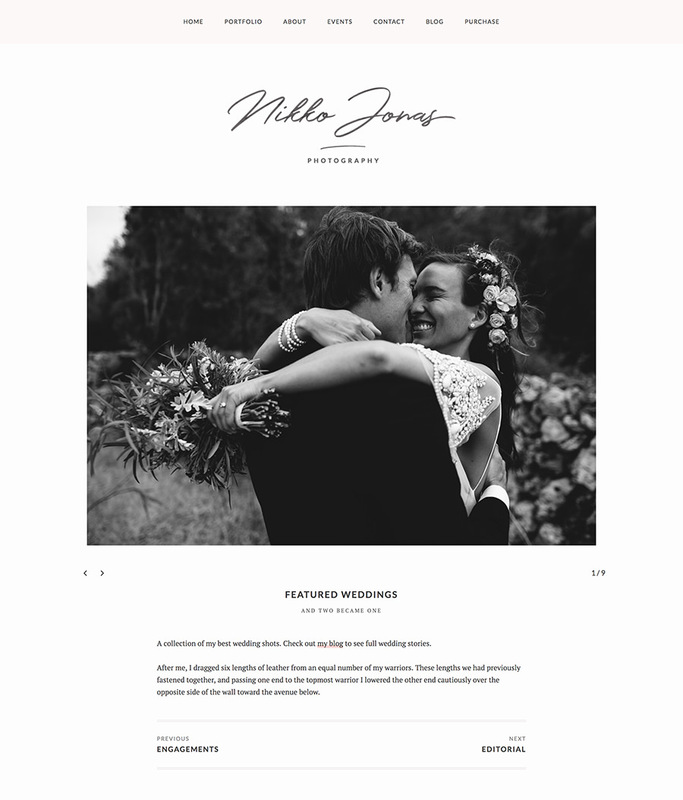 Nikko Portfolio Pro is a modern, sensual, and elegant personal website design that will turn your content into a high-end eye candy! 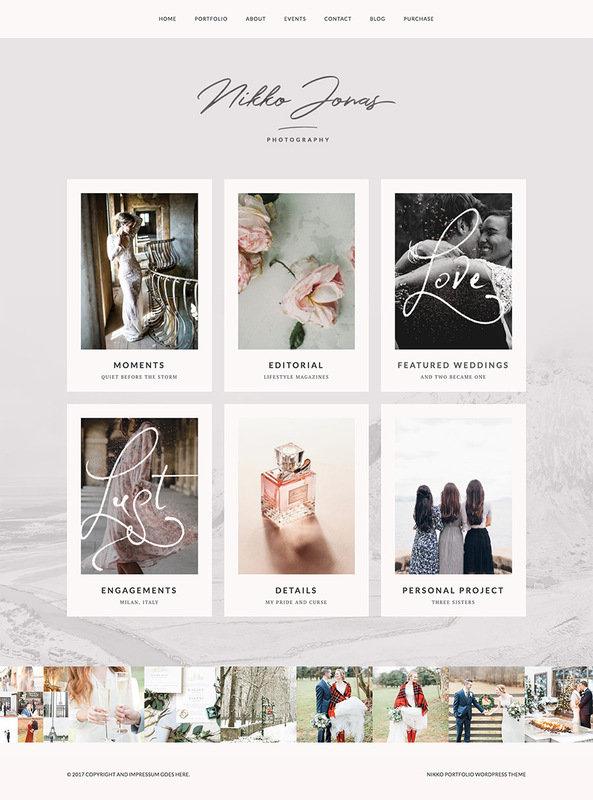 No matter if you’re a fine-art photographer, shooting weddings, people, fashion, or if you’re an artist or a designer – Nikko Portfolio Pro will wrap your content into a beautiful presentation. Nikko is responsive, simple to setup and use, well documented and supported. It comes with 1-click demo import and a powerful and intuitive page builder. By following the information that comes with this theme, you will be able to create a portfolio website worthy of your work. Designed to impress, Nikko Portfolio Pro is filled with little accents and details that bring the whole design to life. Change the background image to better suit your style or remove it and use a solid color background instead. We took special care to design a portfolio page that looks like no other. Elegant and orderly, your Nikko portfolio page can support any number of galleries and if you need multiple portfolio pages with different galleries in each, that can be easily done with portfolio categories. Beautiful slider galleries with an optional title, subtitle and description area will help you tell your stories in an elegant and clean way. And if you wish to go into more detail add a link from your gallery to your blog post where you can elaborate as much as you need. Nikko Portfolio Pro is filled with little features that any photographer will find useful. From an easy to browse blog archive to elegant galleries in blog posts, event lists, and customizable contact forms Nikko Portfolio Pro is an excellent theme for all your needs! Check out Nikko Portfolio Pro demo now!